1997. Tim Garland, a rising star in the UK jazz firmament, is in New York City, the metropolis of jazz. Staying at vibist Joe Locke’s apartment in Manhattan they are listening to the newly released Enter The Fire, when pianist Billy Childs arrives, and asks for a copy to give to a friend. That friend was the legendary Chick Corea who head-hunted Tim and this was the start of many years of international playing which continues today. 20 years on and Tim has reunited the same band to release ‘Return to the Fire’, a 6 track album, on digital and limited edition vinyl, to celebrate not just his own musical journey and reunite friends, but to return and pay homage to a potent time in jazz history. Featuring long-term colleagues Gerard Presencer, Jason Rebello, Jeremy Stacey, Mick Hutton, Laurence Cottle, and more recent friends Tom Farmer, James Maddren and Ant Law ‘Return to the Fire’ captures on wax some of the most celebrated and exciting musicians from the UK and some of Britain’s’ finest exports on the vibrant international circuit. These recordings evoke the classic sound of the sax/trumpet jazz quintet of yesteryear, along with the freshness and spontaneity of music truly improvised, risk- taking and emotive. This is an out-and-out jazz record; viewed alongside today’s vast array of hybrids of all styles, ‘Return to the Fire’ stands out as an album extolling the virtues of swing and the ethos of the acoustic quintets particularly celebrated in the Miles Davis bands. It swings. It burns, and whilst continuing to look forward (not least in the sophisticated and contemporary compositions) it is a heartfelt homage that also features two classic ballads (from JJ Johnson and McCoy Tyner). It is imbued with a maturity and collective spirit that only musicians with the wealth of experience, the refined skills, the belief in one another, the conviction and certainty on display in ‘Return To The Fire’ could hope to kindle. 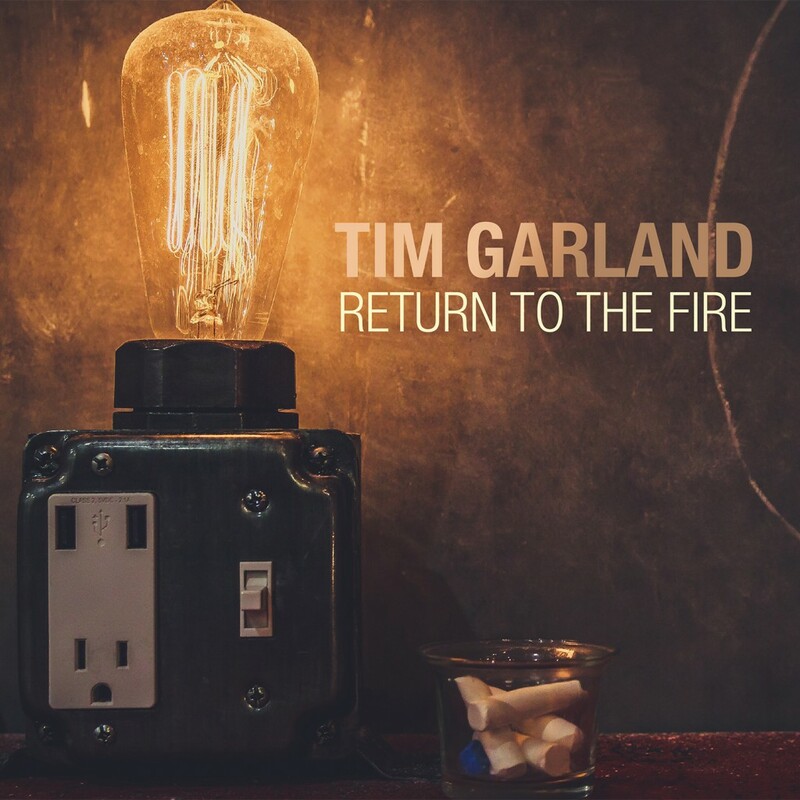 Visit Tim Garland’s website or Tim Garland’s artist page for more info. All music written by Tim Garland apart from Lament by JJ Johnson and Search For Peace by McCoy Tyner.